The Chinese character for "elephant" started as a picture of an elephant! The beautiful and ancient Chinese language may not be as hard to write as you think! Give it a try with this step-by-step guide! Does your child know where the hands on a clock will be at 7:34? Your child can use this worksheet to get comfortable reading times on an analog clock. 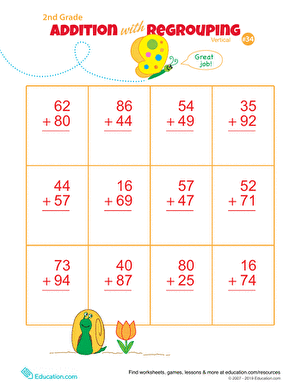 Check out this cute and colorful double-digit worksheet! Your second grader will strengthen their ability to carry remainders in addition and perform mental maths. Characters are at the very centre of any story, and learning how to create dynamic characters is essential for budding writers. 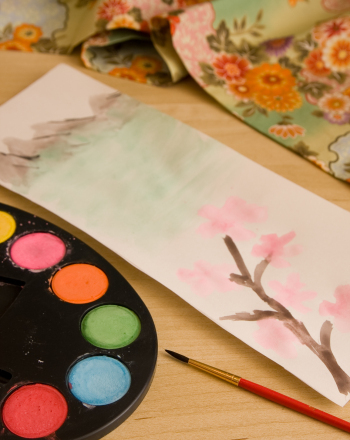 Encourage your child to make a Chinese scroll painting as part of his world history or art studies, or just to pass the time on a weekend.